Tree Speech - JC Trees Speak Up ! This collaboration has really inspired SJC and has been supported by numerous volunteers. The #TreeSpeech Project is a vehicle for environmental activism, education, and community engagement. Since #TreeSpeech is associated with the Jersey City OpenTreeMap (JC OTM), it furthered the crowdsourcing by citizens of important data collection about JC Trees. You can’t manage what you don’t measure and the JC OTM not only reports on Tree Inventory but reports on all the Eco-System Benefit Services that Trees provide to our community in financial cost savings terms, e.g., energy conserved, stormwater filtered, air quality improvements, carbon dioxide removed and stored. For example, with just the modest number of Trees that we have mapped so far (3,143) there is an annual monetized cost savings to Jersey City of $207,359! Participants act as creative collaborators and authors, tweeting Tree jokes, quotes, and drawings. Updates about Trees' health and seasonal changes are shared and educational information about the benefits of Trees and other Green Infrastructure spirals. The #TreeSpeech hashtag tracks this dialog. Chose a tree. It should be near your home or work, or along your daily route. Choose a name for your tree. Create a twitter account in this format: @(Name)TheTree. You can now start tweeting! Use #TreeSpeech in every tweet. Suggested donation is $15 per tree, to cover project costs. This is not required to participate, but it is appreciated! 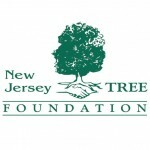 Planting the right trees in the right locations in the right way, will restore our Tree Canopy (Jersey City now at 17% (includes inventory of dead or dying trees calculated against the original Jersey City Tree Canopy Study done in 2015: based on the regional location and size of our city, Jersey City tree canopy coverage should be at 44% !) and provide Green Infrastructure benefits across Jersey City.